A Tanzanian Delegation in China has encouraged Chinese businesspeople to invest in Tanzania and specifically in Tanzania’s Tourism Sector. 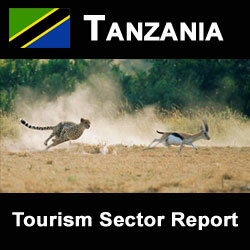 The Tourism industry in the country has long been a thriving sector and is one of the key earners in the Tanzanian economy, although the Delegation noted that the industry is largely occupied by European and American investments and is unexplored by Chinese Investors to Tanzania. Director of Tourism in the Ministry of Natural Resources and Tourism Ibrahim Mussa who leads the Tanzanian Delegation said Tanzania is looking forward to beneficial cooperation with Chinese investors in areas of accommodation facilities to cater for a huge number of tourist arrivals in the country. According to the Director General of Tanzania National Parks(TANAPA) Allan Kijazi, TANAPA has prepared an Investment Prospectus which lists opportunities of investments in Tanzania’s worldclass parks. China is the world’s fastest growing economy and has recently increased business interest in Tanzania with a milestone official visit by Chinese President Xi Jinping to sign several deals of partnership and investment, however the Chinese market as a source for Tanzanian tourism remains an uncapped potential. In sight of this, Vice-Director of Chaoyang District Commission of Tourism Development of Beijing Municipality, Zhang Aijun assured that China will promote destination Tanzania to increase Chinese tourist arrivals in the country.